Megan Racing OE-RS series cat backs are based on factory style exhaust system but with bigger piping. Additionally OERS exhaust systems feature OEM style polished mufflers and sound output is not excessive. 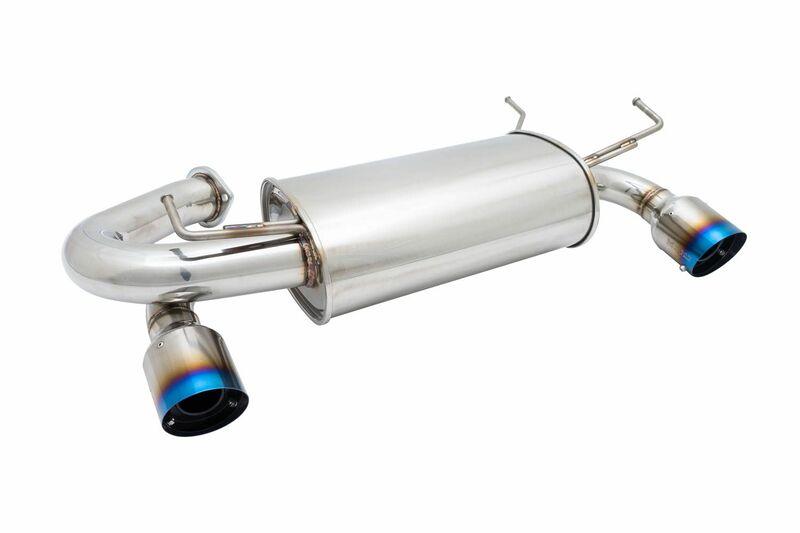 Stainless steel construction is standard on all OERS exhaust systems. All piping is mandrel bent with a high polished finish. Each exhaust system comes with all the necessary hardware needed for a direct bolt on installation. Improves HP with minimal noise. Finally there is an exhaust system available that adds performance, looks nice and is not excessively loud. In other words the OERS exhaust system is the perfect fit for a customer that enjoys a performance exhaust without the obnoxious sound. 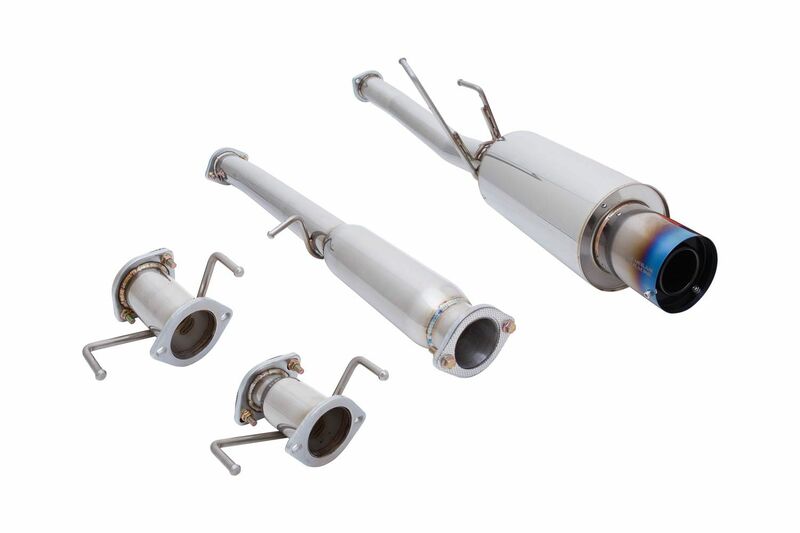 Looking to upgrade the exhaust on your vehicle? Look no further than the Megan Racing Drift Spec Exhaust. Megan Racing Cat-Back Systems are manufactured in SUS-304 Stainless Steel. Finish consists of a fully polished surface, CNC machined flanges and mandrel bends. Its aggressive styling, and deep, strong tone are just part of the MR Cat-Back characteristics. The muffler on the drift spec exhaust is angled up and outward from the rear of the car. Depending on each car and each bumper design, the exhaust will vary upon the direction and angle that it sits. Additionally it also serves to improve horsepower, torque and overall performance with its straight-through design. Finally the exhaust systems have 2.5 inch piping and 3 inch piping for certain forced induction models. Finished with a tip that is designed to increase the scavenging effect and achieve maximum performance, while adding a perfect match on exterior styling as well. In conclusion this is a very high quality exhaust that performs well and comes in at an affordable price. Driven By Style has been an authorized Megan Racing dealer for over 10 years now. Additionally we have the experience and knowledge to answer just about any question you may have. Furthermore we strive to offer the lowest pricing on Megan Racing products including Drift Spec Exhaust. Shopping for some coilovers for your vehicle? For instance look no further than Megan Racing coilovers. Megan Racing EZ 2 coilovers are designed for a streetable daily driver setup. Secondly the EZ 2 series coilovers are the entry level line from Megan Racing so they won’t break the budget. Produced to be more affordable while offering the most basic essentials without compromising quality and performance the EZ2 coilovers have become very popular. Finally Megan Racing EZ2 coilovers start at just $749 and we offer free shipping within the continental USA. In other words these coilovers fit just about any budget! 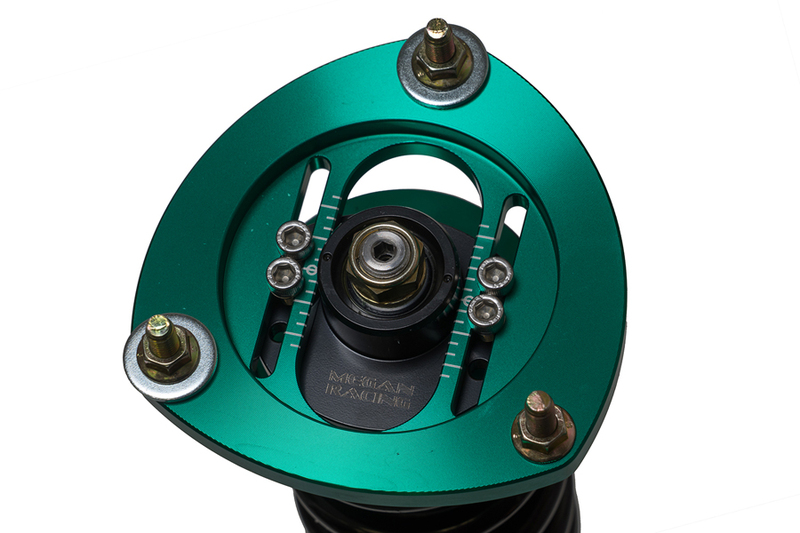 For instance Megan Racing EZII Street coilover damper kits are a simple solution for adjusting ride height and damper settings. 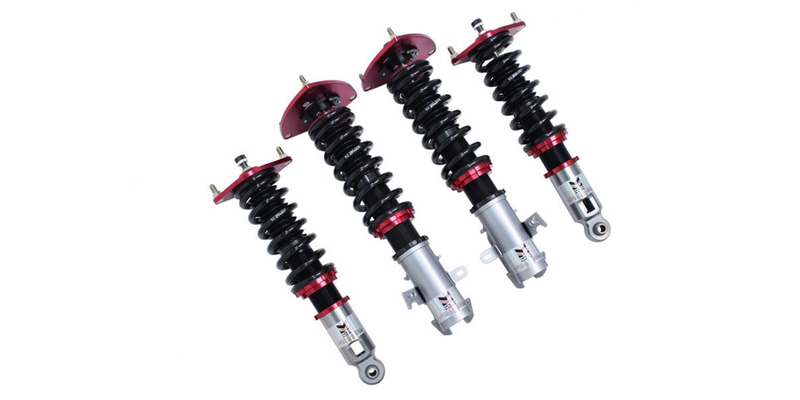 These coilovers include a 1 year warranty. Since 2009 Driven By Style has been a leading retailer and distributor of Megan Racing products. Additionally our knowledgeable staff has the experience needed to answer most of your questions on the fly. If we do not have the answer to your question we will contact the manufacturer tech line for assistance. Finally we want our customers to know that we strive to offer the best pricing on all Megan Racing products from performance to suspension upgrades. In conclusion Driven By Style LLC has all your needs covered when it comes to purchasing Megan Racing products. New suspension parts have arrived from Megan Racing to add to vast variety of coilovers. For instance Megan Racing Euro 2 Coilovers feature comfortable ride quality. Secondly at the same time Euro 2 Coilovers offer performance essentials without compromising quality. In other words Megan Racing Euro 2 damper kits feature the best of both worlds. The Euro Street II Series is a new Luxury Package based off of the Street-Series coil-overs. Additionally Euro 2 Series offer a more conservative spring and damper setup resulting in a more comfortable ride quality while still providing a sporty feel and control. Finally a coilover system for the luxury euro market that will give you the stance you want and the comfort you need. Above all the Megan Racing Euro 2 coilovers are a simple solution for adjusting ride height and damper settings. In conclusion, Megan Racing Euro 2 Coilovers are a great value for enthusiasts of European vehicles that want coilover that handles well retains a luxury ride quality. After that you are going to love how your vehicle handles and performs on the street. Megan Racing Street Series Coilovers are our sports car and sport compact car series of coilovers. For instance Megan Racing Street Series Coilovers are fully adjustable for ride height. Additionally they have 32 levels of damper settings allowing you the ability to adjust your vehicles handling and appearance to your desired specifications. Secondly the Street Series spring rates give you the best ride possible. Designed for use both on the street and for limited track and sport driving. Megan Racing Street Series coilovers are for daily driven vehicles. Furthermore they withstand occasional track use. 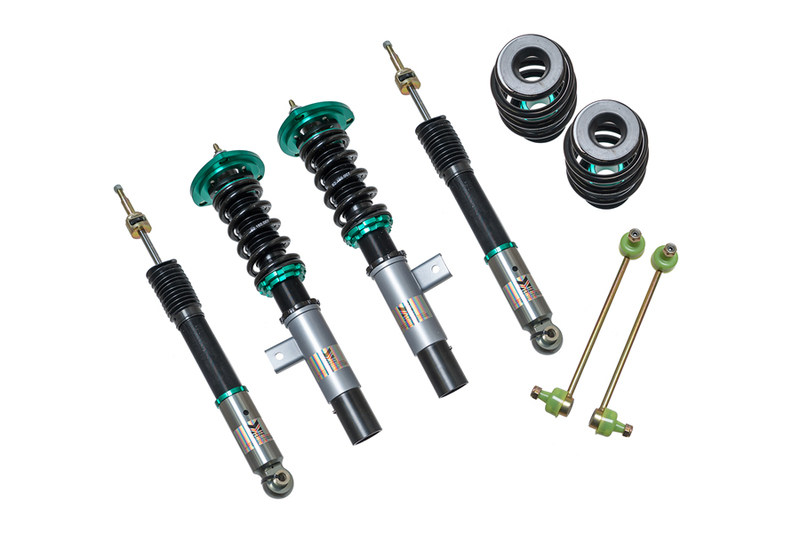 Street Series Coilovers are manufactured of the same extremely durable steel used in our other kits. Each damper kit features springs constructed of SAE-9254 Cold-Wound Steel. With deformation less than 5% and high strength sophisticated surface coating, we stand by our product with our one year manufacturer warranty. Finally pricing for Street Series starts at just $899. In conclusion the Street Series from Megan Racing are a great choice for the customer looking for a high quality ride comfort as well as complete ride height adjustment. In other words you are gonna love these coilovers for a daily driver.